The Chief Executive of specialist financial services provider, Wesleyan, is to be awarded an honorary doctorate at a Birmingham City University graduation ceremony next month in recognition of his contribution to the finance sector. Craig Errington has led Wesleyan, the Birmingham based mutual, through a period of significant growth since becoming Chief Executive in 2005 and has helped the organisation enjoy sustained success despite the recent economic downturn. He has worked for the company for over 20 years. I'm delighted to receive an honorary doctorate from Birmingham City University, one of the city's finest educational establishments. "Like Wesleyan, the University has evolved and grown over the years to play an increasingly important part in the economic and cultural life of the city," Errington added. "The University has a thriving business school and the work they do in preparing students to enter the world of work, taking with them a vital sense of innovation and inspiration, is essential to the development of business in the UK." Through organic growth and acquisition, Wesleyan has grown significantly in recent years and employs around 1,500 staff, has £6 billion in assets and last year made a £40.3 million operating profit. 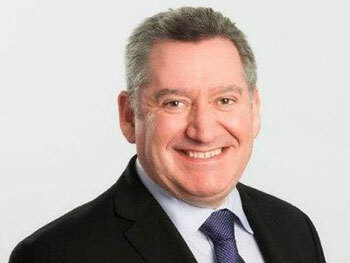 Errington is a strong advocate of the company's apprenticeship programme and in 2011 was recognised by the Institute of Directors as UK Director of the Year. Craig Errington's award ceremony takes place on the afternoon of Tuesday 1 September at Birmingham's Symphony Hall. His award will be presented alongside students graduating from the University's Faculty of Business, Law and Social Sciences.